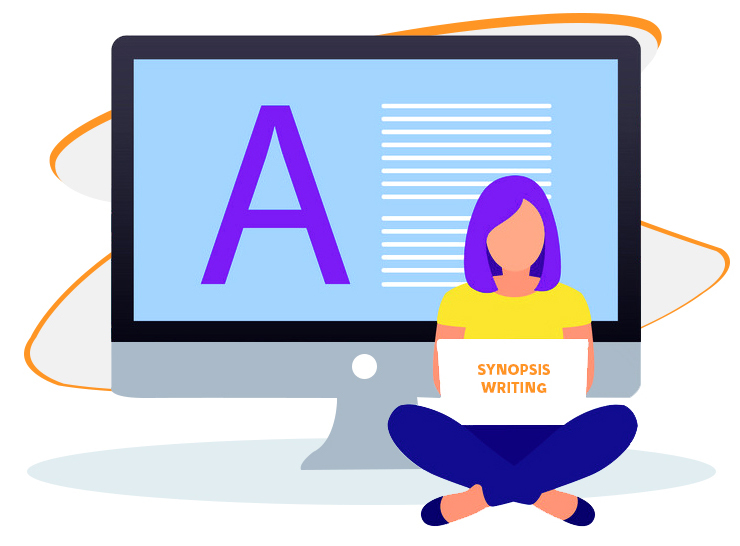 The main motive of our PhD synopsis writing services is to offer a clear guidance and a solid foundation on which the final thesis will be based. The efforts put in the preparation of the synopsis will reflect in the final thesis of the doctoral research. Still, a lot of PhD scholars do not pay attention towards the quality of their synopsis and end up performing below their potential in the final thesis. A PhD synopsis requires a certain structure which is not identified by many scholars. Moreover they do not outline the details of their proposed research, which are necessary as well as the correct way to initiate a research. At Thesis Clinic, experienced experts are on board, who are willing to exercise their expertise to assist scholars and enhance and improvise the quality of their synopsis in order to get started with research process. The first thing that your supervisor or committee member will notice is the title page. The page, as per the ideal format, must carry the proposed title of research to clearly mention the topic. it will also have the names of the scholar, his university and research guide. The list of contents of the synopsis comes next. This is the index and it must also follow the correct format. The content must be listed by the heading of each chapter, along with page number. Whether to include contents page or not depends upon the university rules. It is essential to have a captivating introduction that sets the pace for your synopsis and clarifies the objectives of research. The introduction must not be too long. Sometimes, thesis synopsis will include an Abstract, which gives the summary of the proposal. In the literature review chapter, you will describe all the literature sources that you have referred to. How the sources support or oppose your idea, and how they provide a direction for finding solutions to research question must be mentioned. Citations must be correctly given. Clearly mention what will be accomplished through your research. This will make the intended result of the study apparent. The variables are stated and the relation between them explained. There can be multiple objectives which are closely related and support each other. Answer questions like why you decided to undertake this study, does the topic selected merit a detailed research, how the study will add to the body of knowledge and what new aspects you seek to find out. The research committee must be convinced of its importance. This is the theory on which your research is based. There has to be a central hypothesis. Plus, there can be multiple working hypotheses that are interrelated. It is important to mention the hypothesis with utmost clarity. The direction of the study will be set by this statement. The research methodology will have to be selected with caution. Whether the study will be qualitative or quantitative is dependent on the topic too. A suitable methodology has to be selected, so that it enables correct analysis of data. The methods must be practically manageable. Your proposal will need to explain the scope of research. The extent of impact of the study is identified in this section. How far reaching your study is, what aspects of the subject will it affect, how it will help to make things easier practically will be factors that are covered here. The conclusion of the proposal is intended to summarise the various elements and touch upon the objective and scope of research again. It will also discuss the way in which the entire research is planned and how you intend to shape your analysis for thesis. There is a list of references that is included in the synopsis. This will include all the literature sources. There are various styles that can be followed for writing references, like the APA or MLA system. Giving in text references and then explaining them is a standard practice. Your synopsis will also have some appendices. These will be graphs, charts, illustrations and figures that are included for better presentation of the proposal. Letters of collaboration, permissions, questionnaires, survey sheets, etc. can also be included in appendices. This synopsis will also have a schedule for completion for the work, as demanded by all universities. The proposal that would be consulted for research design and research methods by the team of experts at Thesis Clinic would have a great possibility of getting accepted by the respective university and also become the stepping stone for a premium quality final thesis.